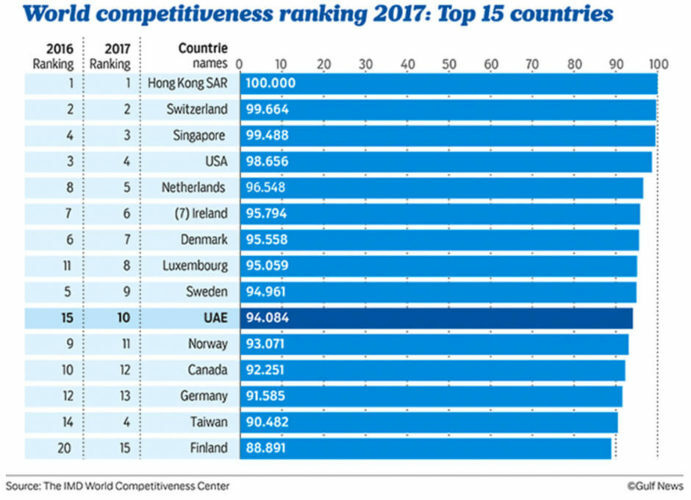 Recently, UAE was ranked 10th globally based in the IMD World Competitiveness Centre report. This followed a 31st ranking in the World Bank's 'Ease of Doing Business' report issued in 2016. UAE is really transforming as a destination of choice for Startups and SMEs. The Government's continuous support and efforts contribute greatly to the overall attraction to foreign investors. The company setup process has become far easier in the UAE compared to its Middle Eastern and North African neighbors. Technology and innovation are the focus of future businesses. The tech industry is bringing new products and services in social collaboration, mobility, and predictive analytics. According to Dubai Chamber report, the UAE IT sector has registered significant growth over time. The value of UAE's IT market has grown from around AED 15.8 billion in 2013 to an expected value of around USD 17.2 billion by 2016. This represents an expected CAGR of around 3% from 2013 to 2016. That is why setting up a company related to IT and Artificial Intelligence can be beneficial to new businesses in the region. The e-commerce industry in the UAE is expected to hit the $10 billion (Dh36.7 billion) mark by the year 2018, regional retailers are in the process of consolidating their online presence in a bid to remain competitive and profitable accodring to a report by Khaleej Times. With the region's e-commerce market accelerated growth and the smartphone penetration, the opportunity for online shopping continues to grow. These are some of the reasons why more and more entrepreneurs are turning to the e-commerce industry. According to Paul Harding, GM of Innovative Hiring, with the Expo 2020 ahead, a potential USD 7.5 Billion Hospitality Sector valuation in 2016, is a sure sign that Dubai's Events Industry is getting healthier by the day. Dubai's event management industry was estimated at $45 million (Dh165.15 million) and continues with a healthy annual growth through a multitude of services covering business to entertainment. 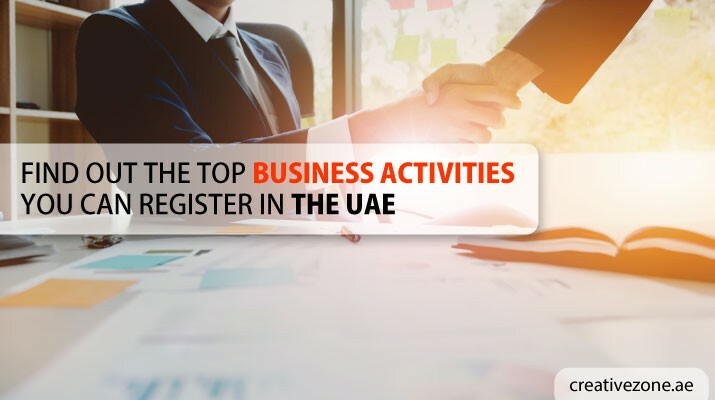 A large number of foreign entrepreneurs are enjoying the benefits of the events market and more and more businessmen are eyeing to setup in this industry this year. An IT, Events Management or E-Commerce company can be registered as a Free Zone Company or a Free Zone Establishment. Starting up a business in a Free zone has become a popular option among entrepreneurs these days. Our team of Free Zone business setup advisors can help you startup your company in the UAE with ease. We have been continuously guiding and helping over 5,000 entrepreneurs and companies over the years. CREATIVE ZONE provides dedicated support from startup and for the lifetime of our cient's business. Contact us at +9714 567 7333 or live chat with us today to find out about your licensing options.